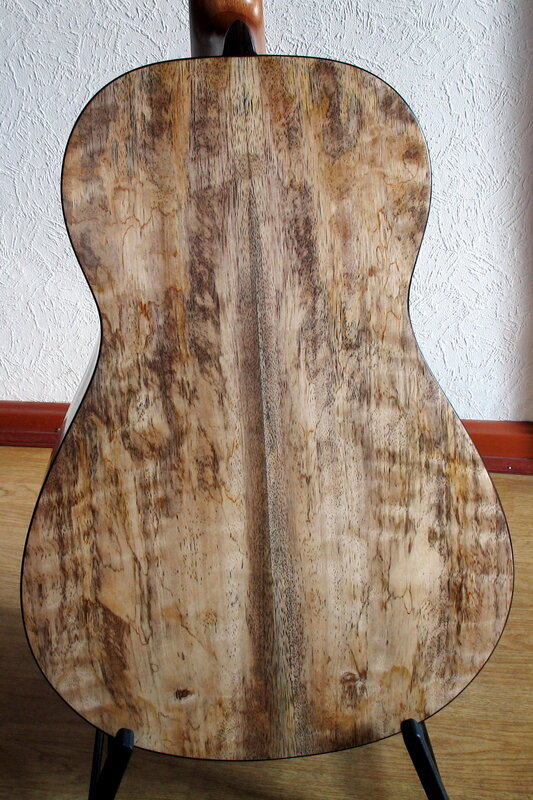 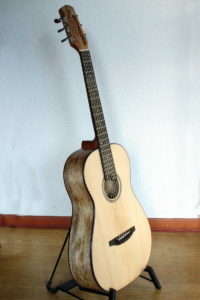 Ambition Parlour Steel String guitar with back and sides of Spalted Mango. 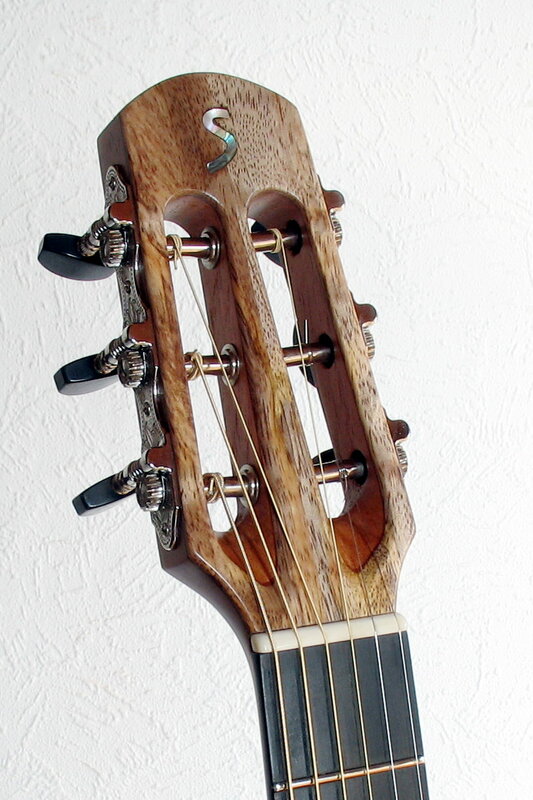 The slotted headstock is typical for this traditional parlor guitar. The headstock veneer is also made of mango. 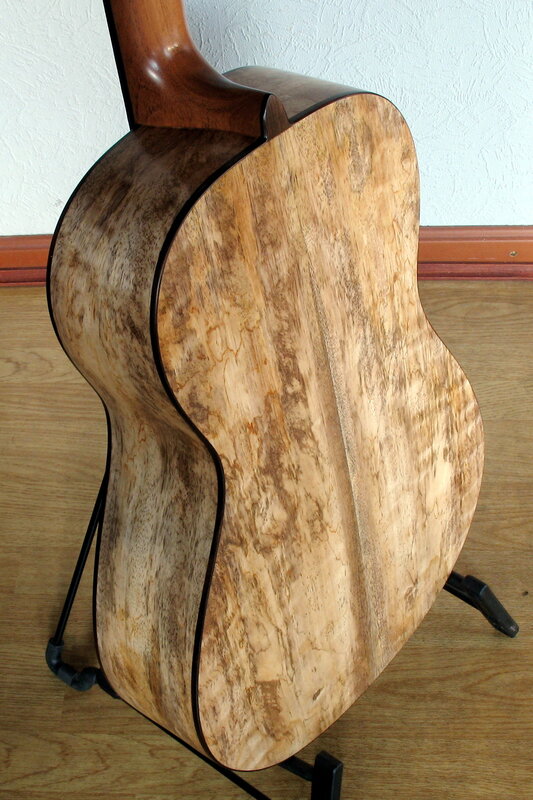 The top of bearclaw spruce was stored for 30 years before it was used for this gem.